Heroes, Heroines, and History: Fun Facts about Tombstone--And a Drawing!! Fun Facts about Tombstone--And a Drawing!! I love research, and I have to say that Tombstone was my favorite town to visit while writing a book set there, with Baker City, Oregon, coming right behind as I researched the Love Blossoms in Oregon series (my current). But I’d like to share some real people and events who populated Tombstone I found so interesting that I wove some of them into my book. Reverend Endicott Peabody was the pastor of the Episcopal church and was known to be a brave and good man. When he saw the churchyard needed a fence, he marched into the Oriental saloon where a big game was going on and passed the plate. They filled it with chips to overflowing. The pastor cashed them in, built the fence, and had a little left over. All residents of the city, even those normally shunned by church people, were well received in his church. Even the loose women of the camp would regularly attend the Episcopal services, then depart for the saloons to resume their work at the end of the worship. Most men of the church-going element thought nothing of taking a few drinks on Sunday morning before church, and afterward stopping by the saloon for a few more drinks or even to sit in on a game of chance. Until Rev. Peabody came to town and started a campaign to finish the partly started church building, the congregation met in Ritchie’s Hall, a flimsy wooden structure with a torn canvas roof, used as a theater with a dance hall adjoining the rear where voices and music could be heard during the service. My wedding at the end of the book took place in this church, and these are my photos of the actual, historic one in Tombstone. The city marshal was on hand as the loaded stages came in and saw to it that all exposed firearms were deposited away from view, or confiscated. Any man who ventured onto Allen Street with a derby or high hat would soon lose sight of said head covering, also. Off it would fall (or be knocked off), as first one, then another, would bunt it along with a kick, soon making it an object not worth recovering. But the owner generally took this playfulness with good nature, soon falling in line by wearing the regulation sort of cowboy headgear. Often the crowd would chip in to provide the price of a new hat for the tenderfoot. This ‘event’ was woven into my story. Known in Tombstone as The Angel of Mercy, Nell Cashman established the Russ House, a restaurant featuring ‘the best meals in town’. Not yet thirty, no scandal was ever associated with her name. She brought her widowed sister and five children with her from Tucson to Tombstone and when the sister died in 1883 she raised the children as her own. She took up charitable causes, helped the sick and injured, and took collections. Few could refuse her pleas for donations to aid her worthy causes. When the sheriff was preparing to hang five men, Nellie took it upon herself to worry about their souls. She volunteered to hear the confessions of two men who were Catholics (the same as her) and converted the other three. When she discovered tickets were being sold to watch the hanging and seating built in the form of a grandstand, she recruited several rugged miners to help, and at 2 in the morning, they reduced the grandstand to kindling. It was too late to build another one before the hanging, so no tickets were sold. 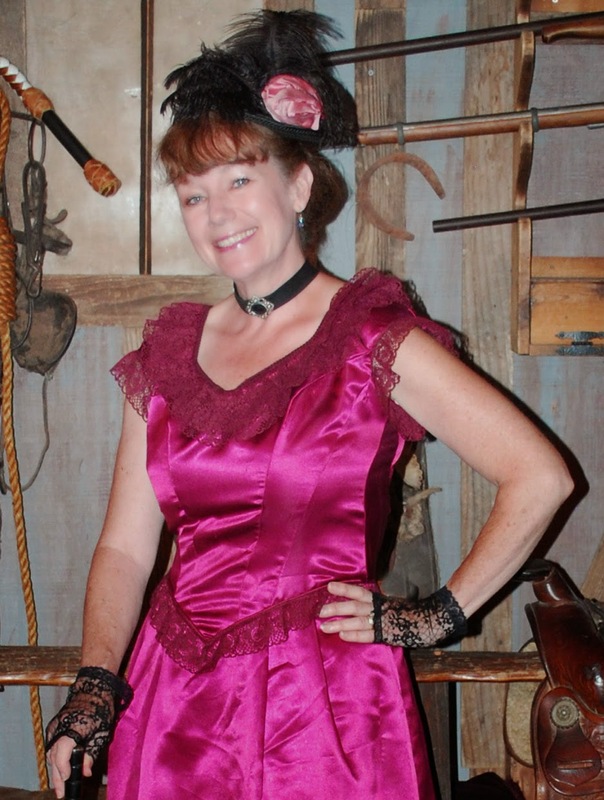 Nell was a prominent secondary character in Love Finds You in Tombstone, AZ. A popular saying in the area - for just cause on both counts - was that the two greatest causes of disease or death in the silver camp were whiskey and cold lead. Whiskey was the cause of the first of two major fires which destroyed much of downtown Tombstone when a barrel of whiskey exploded. This event was also depicted in my book. The Crystal Palace escaped destruction in both fires, although in the first, its principal competitor just across the street, the Oriental, was leveled. But after both episodes of devastation, new construction was started while ashes still were hot. It truly was the Era of the Optimists. Both the Oriental and the Crystal Palace played parts in my story. This popular saloon of today first got its start as the Grand Hotel in September, 1880. Declared one of the finest hotels in the state, it was luxuriously furnished, provided thick carpeting, and its walls were adorned by costly oil paintings. Providing 16 bedrooms, each with a 'view', they were fitted with solid walnut furnishings, toilet stands, fine fixtures and wallpaper. The hotel opened with an invitation only ball on September 9, 1880. My hero stayed in this hotel for a night or two when he first came to town. Have you ever visited Tombstone or Baker City, Oregon, and what did you enjoy there? Have you read any of Miralee's books, and if so, what was your favorite? Miralee Ferrell is a multi-published, award-winning author of 11 books. She lives in the Pacific NW with her husband of 42 years, where they enjoy working in their yard and garden, riding horses and playing with their dogs. Two of Miralee’s books in the Love Blossoms in Oregon series are currently on sale in ebook format—Blowing on Danelions at $1.99 and Forget Me Not (a 162 pg novella) at .99, both through October 15. The research would be amazing. History is alive & well. I would love to visit. One day I hope. Mary, the research is one of my favorite parts of writing historical romance. Thanks for stopping to visit! Good morning, Miralee! I loved reading your post! 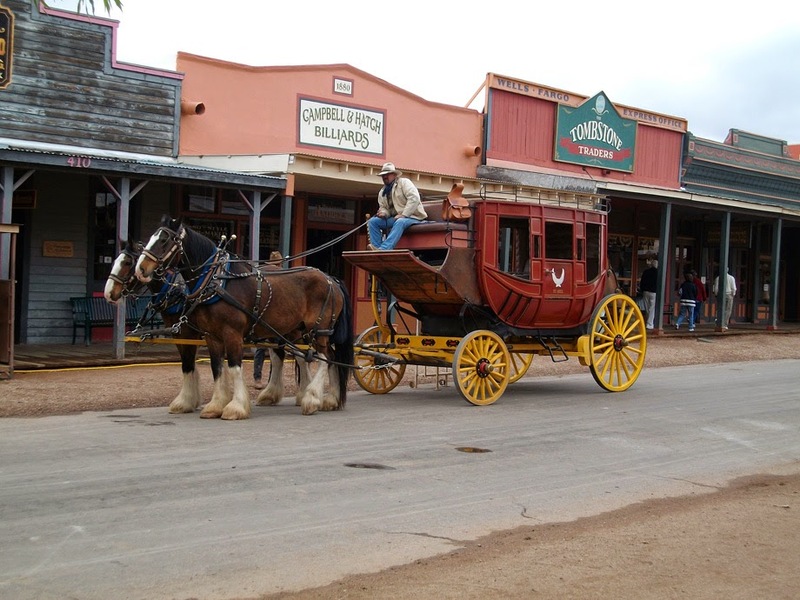 My husband and I visited Tombstone many years ago and of courses, we loved our visit there. I found the cemetery most interesting. One headstone really stood out, "Here lies Les More....no les no more!" Keeping my fingers crossed for this great win! Melanie, I remember that headstone well! There were several with very unusual epitaphs on them. Thanks for stopping! I loved reading about Tombstone. I have not been to Oregon or read any of Miralee's books. I do enjoy discovering new authors! Hi Caryl, if you haven't read any of my books, you might want to grab an ebook/copy of book one in this series, Blowing on Dandelions and book 2, Forget Me Not. Both are on sale for another 24 hrs for under $2.00 each. A great way to get acquainted with the characters in case you win Dreaming on Daisies. Thanks!!! Sure hope you get a chance to read one! I think I was in Tombstone when I was 16 on a family vacation. I have a few black & white pictures but no descriptions on the backs... I have been to Boot Hill. 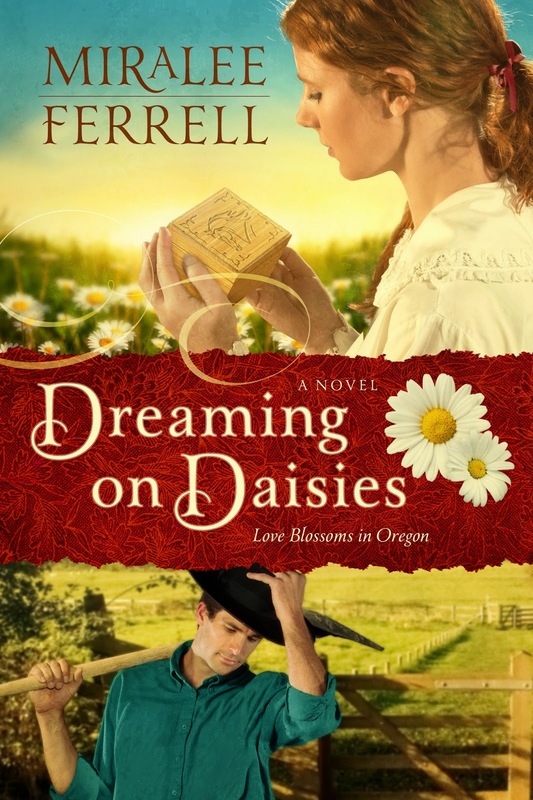 Love the old west :) I haven't read Miralee's books yet but I do have Wishing on Buttercups on my Kindle just waiting to be read :) Great blog today! ! Hi Deanna, it's too bad your photos weren't tagged, but I'll bet if you went back now, you'd still recognize the places...very little has changed. You might want to grab a copy of Blowing on Dandelions, book one, first, before you read Wishing on Buttercups. It's on sale right now on Kindle for $1.99 for another 24 hrs. Thanks so much for stopping by! I have not visited either of those towns. Lots of history to explore! I have read Blowing on Dandelions and one of your earlier contemporary novels. Would love to have the whole Love Blossoms in Oregon series! I'm tickled to hear you've read a couple of my books, Patty. Forget Me Not, book 2, is on sale for .99 right now on Kindle, in case you might want to snag a copy. Thanks so much for visiting. Heidi, I'm so glad you enjoyed Blowing on Dandelions....did you know all of the characters show up in each book at least a little bit? I wanted readers to be able to see the continuing story of their favorites, at least to some degree. Thanks so much for stopping to visit. I enjoyed your post, Miralee. Robert and I have driven through Arizona on our way home from a trip to somewhere else, but we haven't had a chance to actual stop and visit any of the historical sites. One thing I loved was driving through the painted desert. The colors on the high walls of the rocks were beautiful. I'd love to visit Tombstone one day. Vickie, we didn't get to see the Painted Desert while we were there....that's something I need to put on my list for next time. Thanks! Enjoyed the post on Tombstone. I've never visited there, but have always been fascinated by the name and history of the town. I've read your new book as well as the whole serie and loved it, and so will the lucky winner. I've never been to Arizona or Oregon, and those are two places I've really wanted to visit. Thank you for your very sweet comments about my series, Martha! I appreciate you so much. I haven't had the fun of visiting Tombstone, and I haven't read any of Miralee's books. I would enjoy reading one! Connie, I love meeting people who have yet to read one of my books. The first one in this series is on sale on Kindle and Nook right now for under $2.00....just in case you don't win this set. Thank you so much for stopping to visit! Thank you so much, Mallory! I so appreciate the sweet comment! Sharon, I'm happy to hear you have two of my books ready to read, very cool! Two of the first three are on a super sale right now, in case you missed any of the three...Dreaming on Daisies is #4. I'm so glad you stopped by and I hope you get a chance to visit Oregon or Tombstone one day! Sharon, I didn't realize you live so close to Tombstone, how fun! You didn't mention reading Love Finds You in Tombstone, Arizona....did you miss that one? I'm guessing you'd enjoy it, since it's so close to where you live. Have you ever visited Tombstone or Baker City, Oregon no. I am looking forward to reading Dreaming on Daisies.I enjoy reading her books.augustlily06(at)aim(dot)com.Thank you for the opportunity to win. Emma, I'm so glad you've had a chance to read some of my books, thank you! Kathleen, thanks so much for mentioning my true story over on Lyn Cote's blog! I'm so glad you stopped by! I haven't visited Tombstone, but I've been to Sundance, WY. :) Thanks for the giveaway! Anna, you're one up on me. Of all the books I've written, I've been able to personally visit each except Sundance. Did you have a chance to read my book set there, Love Finds You in Sundance, WY? I think it's my favorite of my four Love Finds You books. Hi Eliza, It was really fun! I hope you get the chance someday. Thanks for stopping by! I've never been to Tombstone, AZ but find it a fascinating place that I would love to visit! I love the movie and all the history around the town and the Earp's! Kam, I loved the movie, too, and all the fun research I got to do for my book. Thanks for stopping to visit! Anna Weaver Hurtt won the three book set. Thanks to everyone for entering, and be sure you grab a copy of book one in this series while it's still on sale at $1.99 on Amazon and Barnes and Noble in ebook format....Blowing on Dandelions....and also, Forget Me Not, book two, is on sale for .99. Thank you all!! !